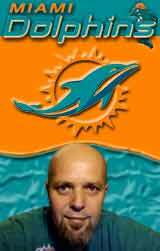 He will deliver it to the Dolphins when it reaches 100 signatures. It’s currently at 36. The Dolphins drafted Dion Jordan out of Oregon by trading their first round and second round draft selections to the Oakland Raiders. The Dolphins used the #3 overall pick to select Jordan who was dubbed a pass-rushing force. The Dolphins are absolutely loaded on the defensive line and have a major hole at linebacker position. Jordan would be the perfect Strongside Linebacker in the Dolphins’ 4-3 defense and have a potential elite impact. Jordan reminds me of a hybrid between Aldon Smith and Von Miller; Miller thrives in this role for the Denver Broncos. Please Joe Philibin and Kevin Coyle move Dion Jordan to strongside linebacker after he returns from his suspension. Our sources on the ground say Philbin is unlikely to make a change based on 100 signatures. But how about 10,000? 100,000? A million? I signed it. I'd really like to see him play a hybrid DE/OLB position. I posted this thinking it was funny, didn't count on yall taking it seriously lmao. I signed a petition that said I'm tired of drafting busts. Hey, where is that petition. I'll sign that booger. Is this for the week 5 game plan, cause I would prefer they wait until the season starts. ### Baltimore-based Dolphins fan Neal Driscoll, who works in sales, has gotten 806 fan signatures on a petition to try to get the Dolphins to move Dion Jordan from defensive end to linebacker, which is a bigger need area for Miami. He says he’s comfortable at defensive end and believes he has had a good training camp/preseason. I think we should move him to safety...largest safety in the league.